Designer's days are windows of such variety. In the last few weeks I've started designing wall sculptures. There I am with the blacksmith, in a dark workshop, getting my hands dirty. It's hot and sweaty. It's creative and inspiring. The pieces are 1600mm high. I'm also working on many other pieces combining heavy metals and glass and wood and plastic. As I work my way through I will drip-feed you a little show and tell. 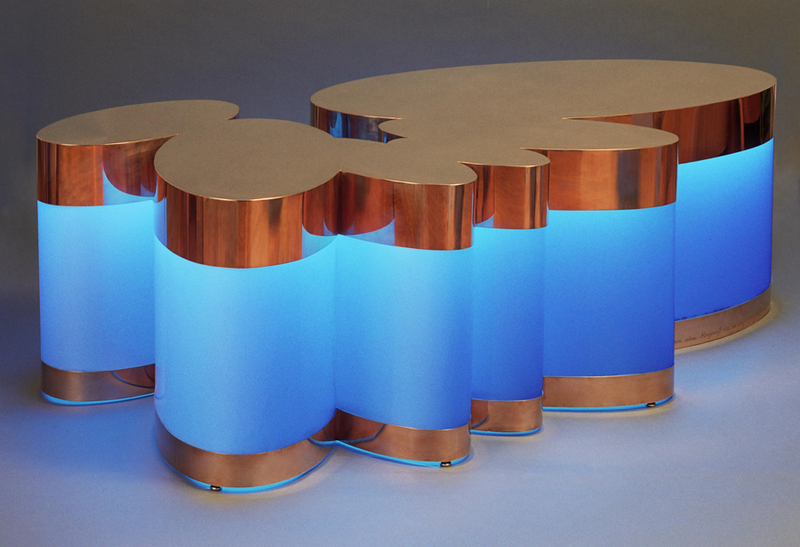 I often work with furniture manufacturers to design bespoke pieces for my clients' homes. 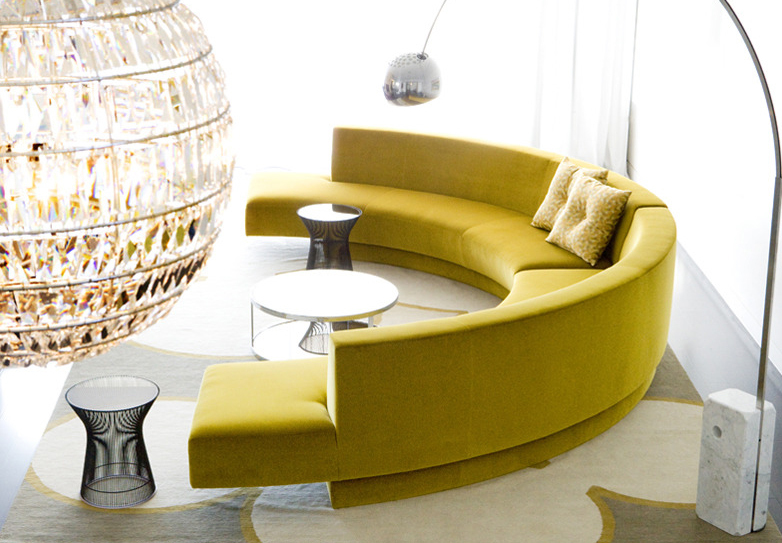 We worked hard to design the curved dirty yellow sofa in the project shown below. It was 5300mm long and took five men to carry each half.